View your complete credit history. View any past bankruptcy records, wage attachments or possible liens issued in your name. Confirm all of your payments have been properly reported and credited by all three credit reporting bureaus. Misinformation is common and can cost consumers thousands of dollars annually in higher interest rates from lenders. Confirm whether you've been affected by the 2017 credit security breach. Find out whether you need to apply for a credit freeze or place a fraud alert on your credit. Access any monetary filings such as past evictions, overdue child support payments, foreclosures, or fall behind on lease payments. See what your creditors, insurers, landlord and employer see when they judge your overall credit worthiness and financial stability. Employers, for instance, check your credit scores, so it's important that you do as well. * An improved credit score rating can mean lower interest rates and better financing terms on mortgages, car loans and credit cards. Safeguard yourself securely from identity theft and fraud. Confirm no one has accessed your personal accounts with retailers, banks, credit card issuers, utility companies and lenders due to the 2017 credit security breach. Your Consumer Credit Scores offer real time assistance pointing out negative items and inaccuracies. You can now dispute false items with a click of a button. 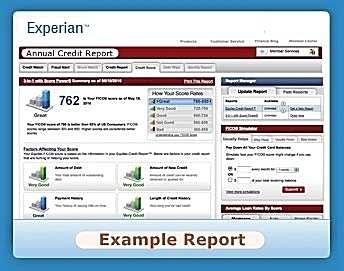 View Your Free Consumer Credit Scores Below - Your Official Scores Will be Delivered Securely In A Printable Format. For the seventh straight year, the Federal Trade Commission (FTC) report identity theft as the largest consumer complaint and the fastest growing crime in America. Most identity theft victims never know their identity has been stolen until they get phone calls from collections agencies. The reality: Fixing your identity is a nightmare. It should seem easy and straightforward but it's not. An average victim spends 300-600 hours to simply prove they're not a thief. * This offer is a subscription service. Consumers will be charged at expiration of trial period unless cancelled. Material terms apply. Click below for more details / cancellation requests. THIS NOTICE IS REQUIRED BY LAW: Read more at consumerfinance.gov/learnmore. You have the right to a free credit report from annualcreditreport.com or call (877) 322-8228, the ONLY authorized source under Federal law.